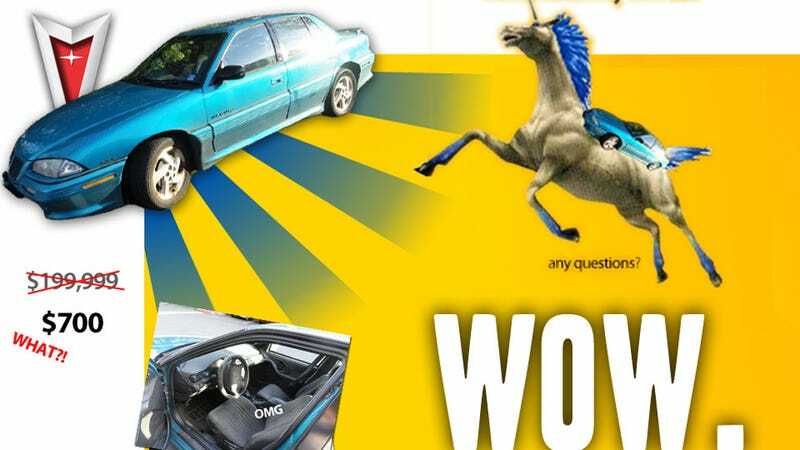 What’s The Best Homemade Car Ad? Some of the greatest car ads of all time have nothing to do with big car companies and ad agencies. They can come from one dude, some Photoshop, and maybe a video camera. Thanks to the Power of the Internet™, regular Joes like you and me can make professional-looking advertisements for our private car sales. This has led to such works of brilliance as “Jesus Tap-Dancing Christ” the 1995 Pontiac Grand Am ad, as well as the Saturn Ion, the best car ever made. We’re willing to accept ads for private listings like on Craigslist, as well as video submissions. Steer clear of local car dealership ads, as we’ve done those already.